Auto-refrigeration can impose low-temperatures onto process vessels and piping causing them to be at risk of brittle fracture. 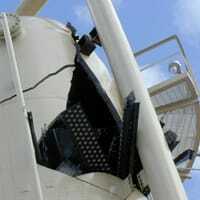 Brittle fracture is the sudden break-before-leak phenomena that can result in catastrophic rupture of the equipment. Operating excursions and the resulting auto-refrigeration conditions with subsequent recovery chain of events can be evaluated to determine if the equipment is subject to this potential process hazard. If this vulnerability is identified, a layer of protection analysis (LOPA) can be executed to evaluate and develop mitigation actions. At Stress Engineering Services, we use a comprehensive approach to identifying susceptible equipment, executing the brittle fracture analysis, and performing the process hazards analyses to evaluate and develop mitigation for at-risk vessels and piping. With this approach, the equipment is evaluated using Part 3 of API-579-1 / ASME FFS-1 Fitness for Service methods to develop a minimum allowable temperature (MAT) curve. Process hazards scenarios are developed using the dynamic and sequence driven methodologies to compare to the equipment MAT curve. If adequate mitigation cannot be attained through normal means (administrative controls, alarms, interlocks) additional computational analyses is performed and potentially justifying the fitness for service of the equipment under this excursion condition. For years, our engineers have successfully applied this method on thousands of vessels and piping systems at chemical, refinery and offshore facilities. Our analysis methods, coupled with our highly experienced personnel provides clear scenario descriptions and can indicate potential fitness for service risk, thus allowing for the development of lowest life cycle cost for mitigation. USA OSHA 1910.119 requires documentation of vessel and piping fitness-for-service. 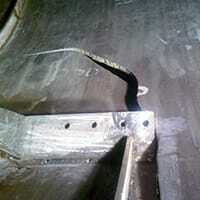 The olefins and hydrocarbon processing industries have experienced a number of brittle fracture failures due to exposure to low temperatures due to auto-refrigeration.